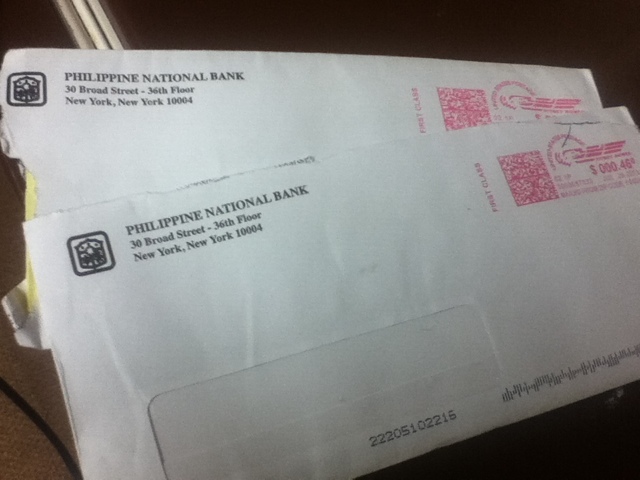 I bravely went to Forth Washington, Maryland to open an account at Philippine National Bank (PNB). It was kind of far from where I am staying but New York is much farther,where most of the Philippines bank branches are located, so I opted to go to PNB-Maryland branch. It was a whole new experience from getting lost and all but that's another story. As I mentioned in my other post that I went to New York to open a BPI account. And I also mentioned my whole ordeal in getting my ATM, which I don't want to go through again.. That ATM is in the hands of my mother now and she has the authority to get money from there. There is a $47 charge on opening an account with them. They said its for all the mailing fees. My frugal self was saying no but my practical self said yes,after all the walking I did that day! 2 valid Identification cards. Credit Cards are acceptable as a second ID as long as name is printed on the card. 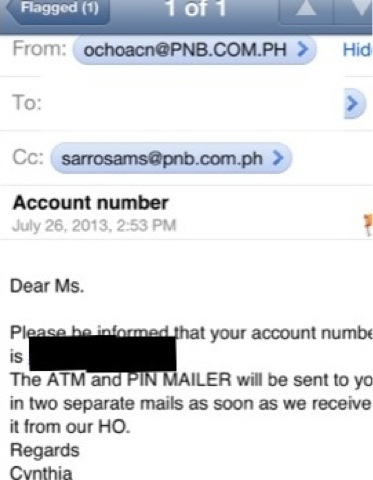 July 6, 2013 - Went to their branch. Filed paperworks and all. July 26, 2013- Received an email. August 1, 2013- PIN MAILER and ATM arrived in two separate envelope. I hope someone out there find this post helpful. I will register my account so I can access the PNB's online banking. I'll let you know how it goes. Been reading your blogs for the past few days and i must say, very inspiring. Hope to hear from u, thanks! God bless u. Hey, Thanks for dropping by and thanks for the kind words about my humble blog. I've been using PNB and it's been an awesome experience. It's safe and I've been using the Internet banking for my PNB savings account and I have no complains. I regularly transfer money from my PNB savings to another PNB ATM account without fuss. 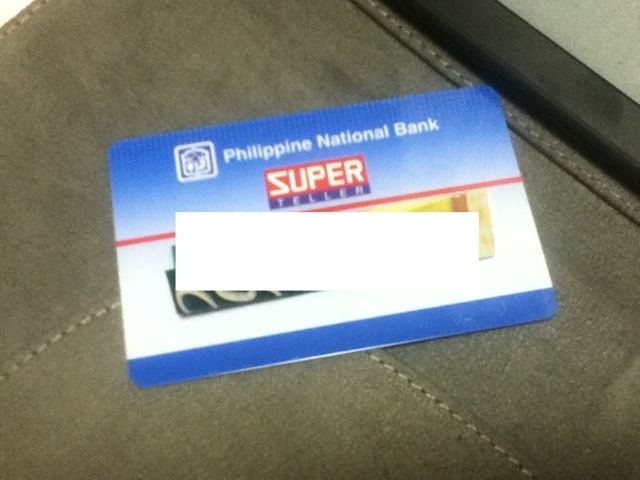 I am kinda liking PNB more than the BPI when it comes to transferring money. In BPI kasi you have to go to one of their branches to authorized that 3rd party account so you can start transferring even though same BPI costumers. In PNB, no need to do that. I am happy PNB costumer and I would soon update and post my PNB experience. Let me if you open na. Thanks for sharing your experience. I'm assuming that you opened a checking account? Were you able to get a bank cheque as well? It's a relief to know that someone has successfully opened a PNB bank account while working overseas. I may also open a checking in Canada if things go according to plan. Update: I finally opened a PNB account in Calgary, AB. Thanks for this post. It took a long time but did it in a year.